This past week saw a new international geopolitical crisis break out involving Vladimir Putin's Russia. The Russians seized three Ukrainian naval vessels and took them to Kerch. Kiev has responded by declaring martial law and warning of an imminent invasion by their Russian neighbors. The unfolding crisis caused such an international stir that U.S. President Donald Trump cancelled a planned multiple hour meeting with Putin that was scheduled for the G-20 summit sidelines in Buenos Aires. As serious as this latest crisis is on several levels, it is overshadowing another one that involves the Russo-American nuclear arms treaty. This 30 year old landmark deal is now in serious danger of being canceled, marking yet another low point in U.S.-Russian relations. 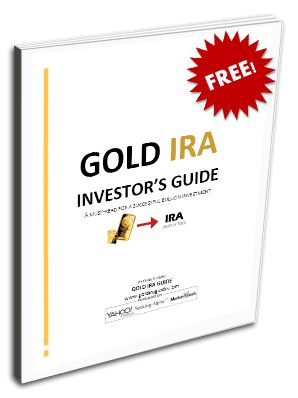 Now is the time to take action to protect your investment and retirement portfolios with IRA-approved gold. The latest geopolitical turbulence with Russia that threatens world stability is a great reminder of why gold makes sense in an IRA. You need to look into the Top five gold coins for investors now before safe haven precious metals' prices spike higher. The already rocky relations between Ukraine and Russia have just reached all-time lows. Moscow is holding 23 naval Ukrainian navel crew members hostage who they captured along with the ships in the Kerch Strait that lies south of both Ukraine and Russia. The 2003 treaty that guaranteed free naval access to the Sea of Azov and the Kerch Strait has now been violated. These troubles date back to 2014 when the Russians first seized Crimea from Ukraine and then covertly sponsored a Russian-aided uprising in the east of Ukraine. Moscow tried to deny it had anything to do with the eastern Ukrainian invasion, yet the Europeans, Americans, and other Western nations applied a variety of sanctions in an effort to motivate the Russians into ceasing aggression and returning stolen territories. Finally the Ukrainian president felt he had no choice but to respond with a declaration of martial law in parts of the nation that shared a border with Russia. He has warned that the Russians are threatening them with a full-scale land invasion. U.S. President Trump was incensed by the latest Russian aggression in Eastern Europe. A mere days before a much-touted meeting with Russia's Putin to deal with a host of important global issues and disputes between the two powers, President Trump canceled this meeting in protest when Russia did not heed his ultimatum to return the Ukrainian naval ships and sailors before the G-20 summit in Buenos Aires. Yet this is not the potentially greatest crisis brewing between Washington and Moscow. Last month, President Trump announced that he will pull out of the INF Intermediate Range Nuclear Forces Treaty. This treaty that President Reagan signed with Soviet Union President Gorbachev back in 1987 outlawed building or testing ground-based cruise missiles that possess a from 300 to 3,400 mile range. The Pentagon would not answer the question when reporters asked the spokesman if Secretary Mattis had in fact coordinated with the other NATO members before the President announced the withdrawal. Instead they referred the question to the White House. Not everyone in Europe agrees with more punishment for Russia's latest aggression,. Germany is opposed to more sanctions over the Kerch affair. Italy's populist government has gone further and announced that it is completely against all sanctions on Russia. The Russians already have succeeded in driving a wedge between key EU members such as Italy and Brussels as well as the U.S. and NATO. The world seems to become more geopolitically imperiled every month. Russia is only the latest example of trouble brewing around the globe. It all threatens global stability and domestic and international equities markets. This is why you can not put all of your eggs in a basket that can become a hostage to geopolitical problems. Gold is the answer to the threats against your portfolio. Now you can buy gold in monthly installments. The IRS will also allow you to store your safe haven portfolio investment overseas in top offshore storage locations for your IRA gold.